During product activation, your serial number and product key are verified and licensed to run on your computer. 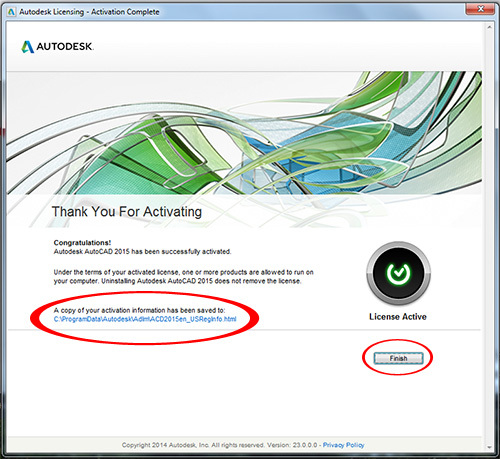 Activation is only required for single-user Autodesk licenses. If you have a serial number and product key when you install your software, activation will be part of the installation process. The steps below illustrate the process of activating and registering your Autodesk software online the first time you launch a new program after installation. Launch your Autodesk product by clicking the product icon on your desktop or by clicking the (product name).exe file, which is typically saved under your Programs (Windows) or Applications (Mac) folder. Enter a Serial Number. Use this option if you have a single-user license and received serial number information in your confirmation email. Use a Network License. Use this option if you use a network server to manage licenses and know the name of the server. On the Autodesk Privacy Statement screen, click the I Agree button to indicate your acceptance of the terms and conditions. The privacy statement only appears the first time you launch the software. On the Product LIcense Activation screen, click Activate. Enter the Serial Number and Product Key and click the Continue or Next button (depending on your software version). 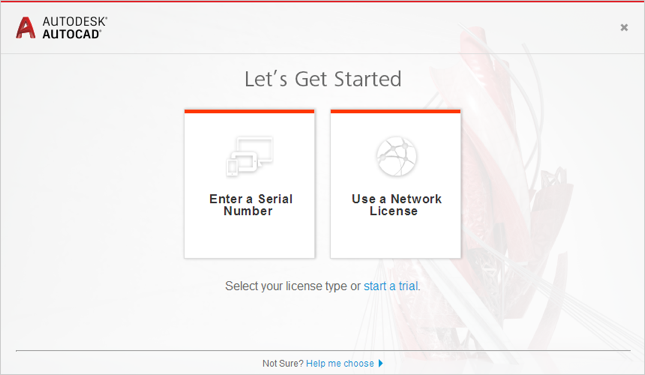 If you do not have your activation code, you can use your Serial Number and Request Code to get your Autodesk product activation code online. When you see the Thank You for Activating screen, activation is complete. 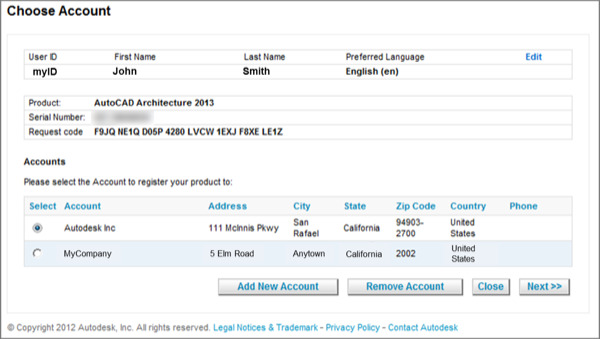 If the Serial Number you entered hasn't been registered to an Autodesk Account, you'll be asked to either create an account or log in to your existing account to register. 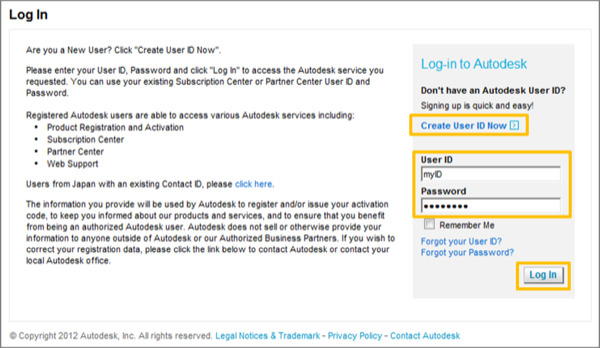 Enter your Autodesk ID and Password and click Login. If you don't have one, click Create User ID Now and follow the on-screen instructions. If you have multiple Accounts, select the one you want to register your product to and click Next. The activation process completes automatically and saves your activation information in the specified location. Click Finish to close the activation wizard.